I first concocted this recipe about 2 years ago for a big gathering and lets just say the feedback was positive. So when I can include this in a party menu, I do. I love jalapeno poppers but I can’t really be bothered to stuff them and bread them – I don’t have that kind of time. This is a great way to have all that creamy, cheesy, jalapeno goodness without all of the fuss. This shot was taken immediately before being served to a group of very hungry people..lets just say I had to cut the photoshoot short, so no photos of the yummy inside or on a chip, just couldn’t make that happen. 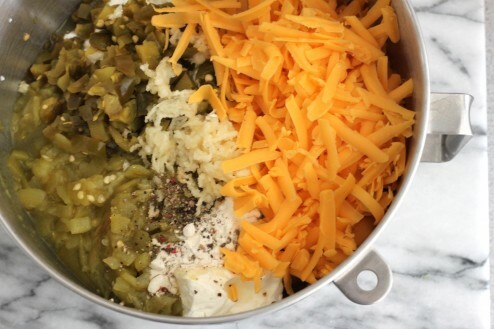 In a large bowl, beat the cream cheese, mayonnaise, sour cream, cheeses, chilies, peppers, garlic, onion powder and ¼ cup Parmesan until blended. 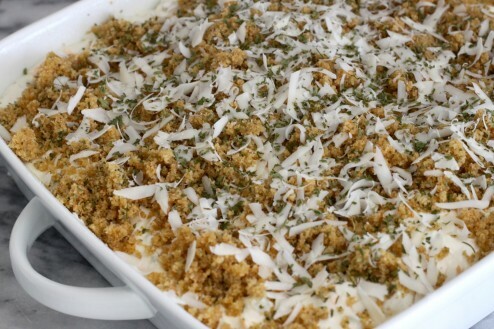 Spoon into an ungreased baking dish (approximately the size of a 13x9 pan) and set aside. 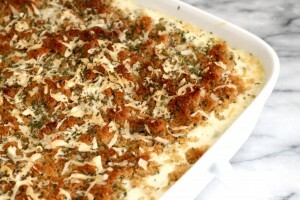 In a small bowl, combine the bread crumbs, melted butter, dried parsley and ¼ cup remaining Parmesan. 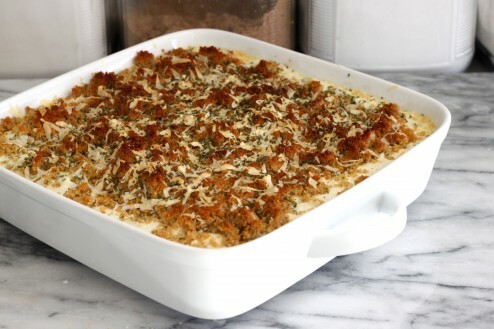 Sprinkle over cheese chili mixture followed by the remaining parmesan cheese and bake uncovered for 25 minutes or until golden brown and bubbling. Remove from the oven and let cool for 10 minutes before serving. Best with tortilla chips or crustini.